Typing exercises, track student progress. Typing exercise for your class. Track student progress and create your own lessons. Free! Interactive typing exercises with detailed information about speed and typing errors. Reports to keep track of your students progress. Create your own lessons or use the default ones. Perfect for all levels. Easy to setup, have an entire class using the system in under 5 minutes. 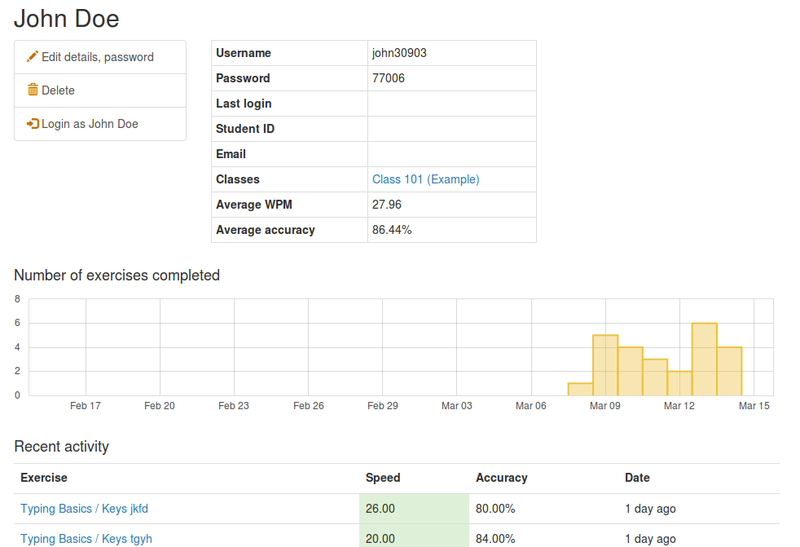 Manage multiple classes and students. This service will always be Free with unlimited classes, students and lessons. If you are a student, Sign In. If you are not an instructor and you want to practice typing on your own. Use the Typing Test from Keyhero.com. At the heart of this service is the great typing test app from keyhero.com. It offers detailed feedback on your typing. 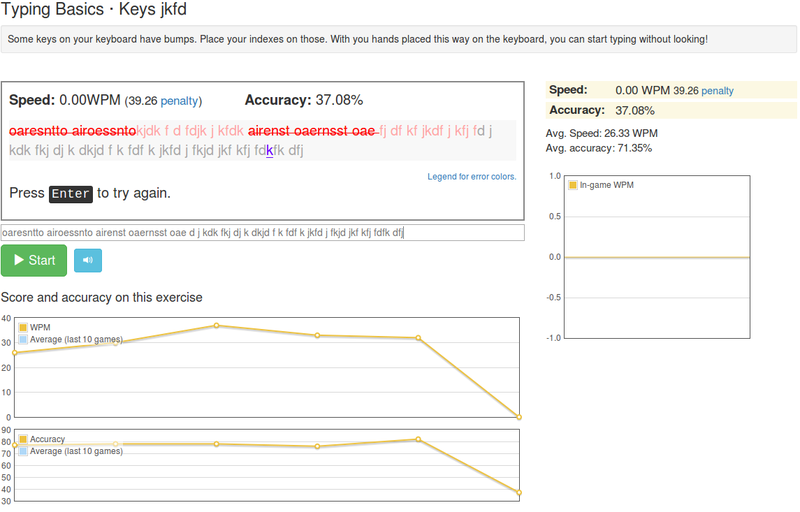 After each exercise, it shows you the type of mistakes you made, the acceleration and deceleration on a per-character basis and in-game charts of the WPM speed. If you want to know more, give it a try.